Since late June, InVision’s events team has produced or helped facilitate more than 200 DESIGN DISRUPTORS screenings all over the world—not only at theaters, but at the offices of companies like NBC Universal, Johnson & Johnson, IBM, Google, and MailChimp. All that on top of coordinating 20 other InVision events happening over just the next 3 months. Events bring a brand to life. They require creative problem solving, clear communication, and a whole lot of user experience design. 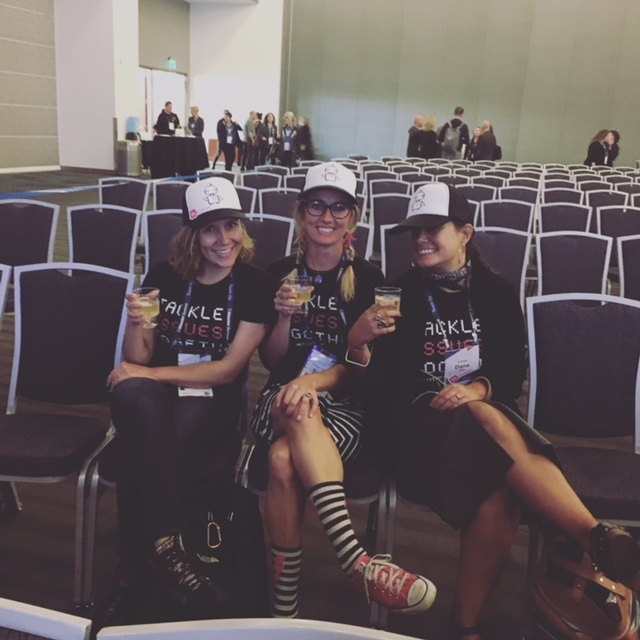 We talked to our talented, dedicated events team—Dana Pake, Michaela Alexander, and Sadie Short—to find out more about how they make their difficult jobs look so easy. What’s the best thing, the most challenging thing, and the most boring thing about your job? Sadie: Watching an event come to life is so fulfilling. It’s almost like the InVision product—we get to go from concept (idea spark) to code (execution of event), and from there all of these amazing relationships forge. Our events are a hub for some of the most forward-thinking pioneers of our time. It’s such an honor to be part of that. The biggest challenge is always time. We often have a limited amount of time to pull off our next greatest idea in unknown, unseen territories. For DESIGN DISRUPTORS, we had 5 weeks and 5 days to pull off 11 events in 5 cities, internationally. It’s challenging to be a small team that operates at full speed while running on fumes, away from our loved ones and dogs. We’re on the road more often than not, and that’s taxing. Dana: The best thing about this job is that there’s no other channel like events that literally brings the InVision brand to life in a way that allows attendees to truly have an immersive experience. Events allow us to connect directly with the community, see what moves them, and hear about how InVision has impacted their career. What we do also brings InVisioneers together. We have the unique advantage of meeting our remote colleagues in real life and creating a sort of family reunion. How fun is that? 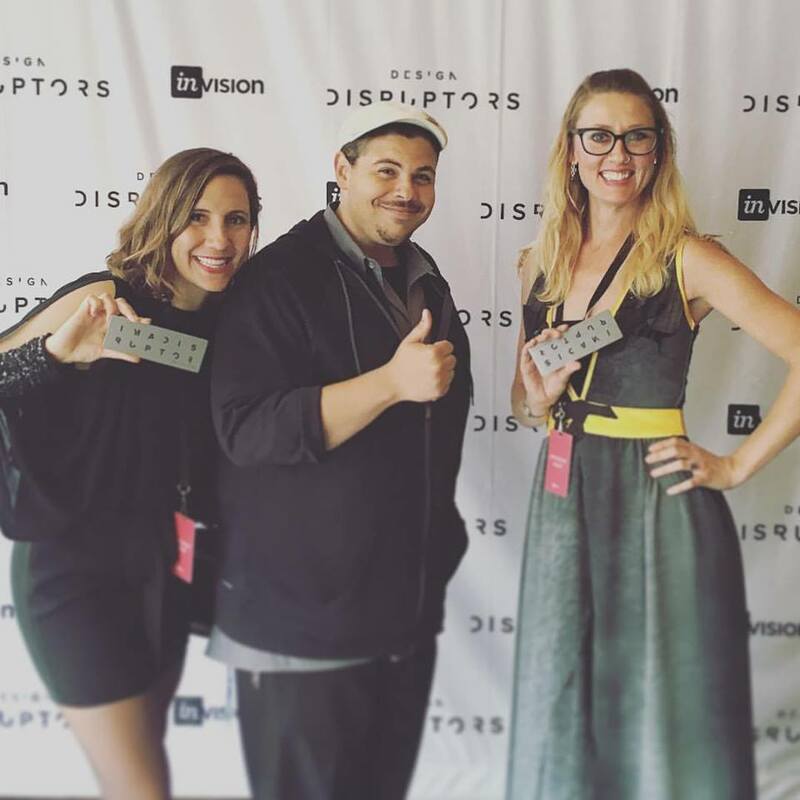 Michaela, InVision CEO Clark Valberg, and Sadie at the DESIGN DISRUPTORS premiere. As far as the most challenging thing about events, that’s probably planning for variables that are often out of our control, like the weather or other events popping up that compete for the same audience and attention on the same date, or a shipment not arriving. We’re constantly thinking on our feet, working through problems—often through multiple time zones. The most boring thing? If you’re bored doing events, you should probably go find another job. Michaela: I love the challenge of bringing the brand to life. I love thinking about the smallest detail and how you’re going to leave a lasting impression on people. I like to think of event planning as getting to be an experience architect. Designers think about the UI someone gets to have with an online product, while I get to think about creating the UI in real time at an event. The most challenging thing: Creating balance with work and life. You spend a lot of time on the road as an events manager. People tend to think it’s all glitz and glamour when you get to travel all over, but it can also be tough on you mentally and physically. How does your team communicate? Sadie: It’s common for us to be simultaneously Slacking, texting, or taking calls in the backseat of an Uber or emailing while on a flight. Just last week on the way to a conference, I drove while Michaela tethered her phone to her laptop for a video meeting. And we definitely share brain wavelengths—we often show up dressed in similar outfits and finish each other’s sentences. We have a lot of meetings in our matching pajamas while drinking coffee in our shared Airbnbs. Michaela: Before a show, we use Hangouts, Slack, email, and management tools. When we’re on-site, we communicate telepathically. In all seriousness, when you go into “event mode,” there’s no time for talking—everyone knows the timeline and you anticipate each other’s needs. An example: I’ve looked at both Sadie and Dana wild-eyed and said, “Is everything set with the stuff and the things?” And they said yes because they knew exactly what I was talking about. What’s the first thing you do when you start planning an event? Dana: Start thinking about the “why.” What’s the purpose of the event? Who are we trying to reach? Why is this important? What’s the outcome we’re after? Is there another way to address this need aside from the event? Understanding the why and what success looks like upfront helps us better determine the how and what we’re going to do to create meaningful shared experiences. Sadie: I take a deep breath, get out my notebook and a nice pen, and look at the calendar. Michaela: I think of the events team as an internal agency to the larger organization. So when I start planning an event, my first question is “Who is my client and what is their objective?” If I know who I’m planning for and what they want to accomplish with the event, there’s a much better chance of it being a success. What are some lessons you’ve learned about putting on events? Sadie: Stealth operation. When it comes to production time, delegate! I used to think, “If you want it done right, then do it yourself.” I’m a perfectionist who has a hard time letting go, but that doesn’t scale. So I constantly scan my brain for what I’ll ask of a helper when the time comes, and I think of my next move and minimize steps. Being clear and very concise, using as few words as possible to describe what needs to get done is key. At times I’m delegating and instructing up to 75 people at once. Michaela: Murphy’s Law will play out. You can plan your little heart out and stay up night after night checking your boxes, but you unfortunately can’t control the weather—or about 1,000 other variables that may happen. The question is never about whether something go wrong, because something will go wrong. What will make or break you is how fast you can work on your feet to fix the situation and how calm can you stay while doing it. Dana: Events aren’t just tactical logistics—they can be a strategic part of a business. Learn more about all marketing channels and how events can complement those efforts. Think of what you do as creating experiences—not events. It’s also essential to create boundaries because this can be an always-on business. Take accountability for creating space for what matters in your life. For me, that’s my 2 little girls and my husband. 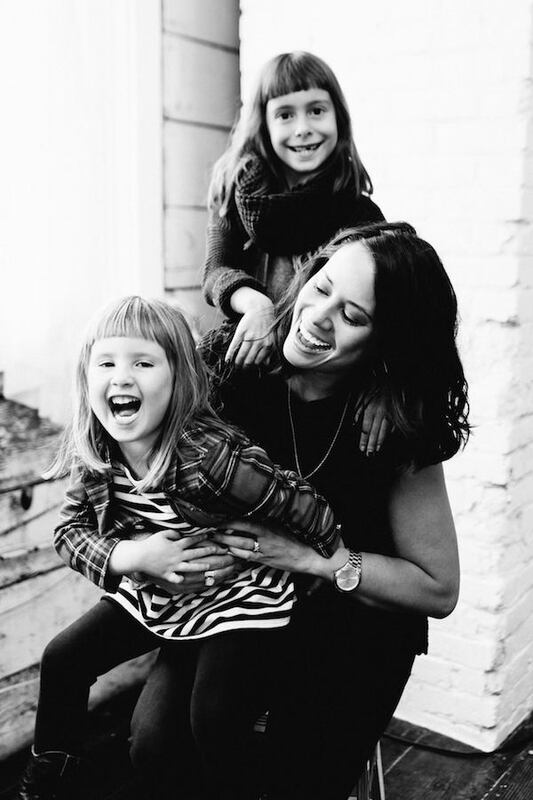 I want to be a great role model for my daughters and show them that it’s possible to be passionate about your job and love what you do, but it doesn’t need to consume you. How do you define/measure how successful an event is? Dana: It goes back to first understanding what the objective of the event was in the first place. Is it about cultivating thought leadership, building brand awareness, launching a new product, generating more demand? Define the key performance indicators (KPIs) tied to each of those overall objectives ahead of time and have the follow-up plan in place before the start of the show to ensure you’re driving towards those KPIs. Michaela: I think there are 2 types of success metrics in events. There are the KPIs you set out to reach, with the event being the vehicle to obtain those goals, and then there’s something I call a 360 success. To me, this means looking in all directions and asking whether all contributing parties were happy to be part of this project. To create a sustainable program, it’s important to make sure everyone had a good experience with it, from the speakers onstage to the developer who helped you code the email communication for the event. Sadie: If people want to come, the house is full, and the attendees are engaged. If people are still talking about it a year later, that’s a good event! 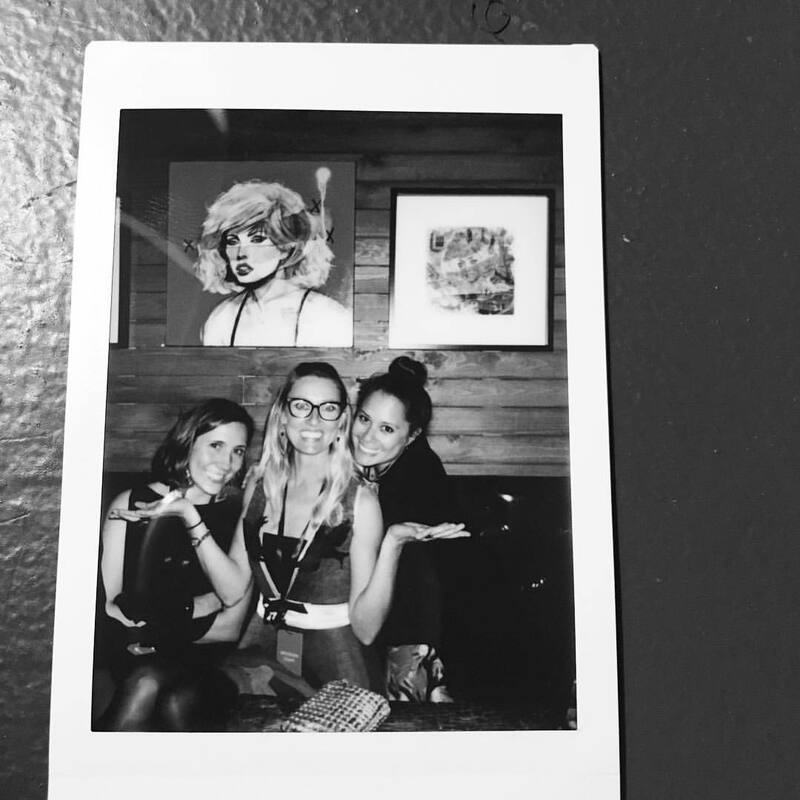 What kind of things do you do at events to make sure the InVision brand comes through? Sadie: One of the things I enjoy the most is getting to collaborate with our creative director and designer to create custom swag for each series of events. We’ll come up with an idea or create a Board, and then we’ll start brainstorming. It’s fun to see ideas come to life. For example, the metal “I’M A DISRUPTOR” tickets for DESIGN DISRUPTORS were a huge hit and ended up all over social media. It’s amazing to know that something I helped create is in the hands of the most influential and talented designers in the world. Michaela: One of the main reasons I came to InVision was because this company is passionate about design and the experience people have when interacting with its product. When we create an InVision-produced event, we pay attention to the tiniest details. Sadie does things like hand-lettering thank you cards to each of our speakers. What’s the best way to get into event planning? Dana: Have a warrior mindset. Things will—and often do—go sideways. It’s how you handle it and recover that matter. Demonstrate that you know how to solve problems. I’m not so much interested in people with direct event planning experience as I am in people who can creatively think their way through a given situation. Make sure you really love events. You have to be one can short of a 6-pack to succeed in events—it can be brutal. But the adrenaline rush of seeing the smiling, happy faces of your attendees (and stakeholders) makes it all worth it.